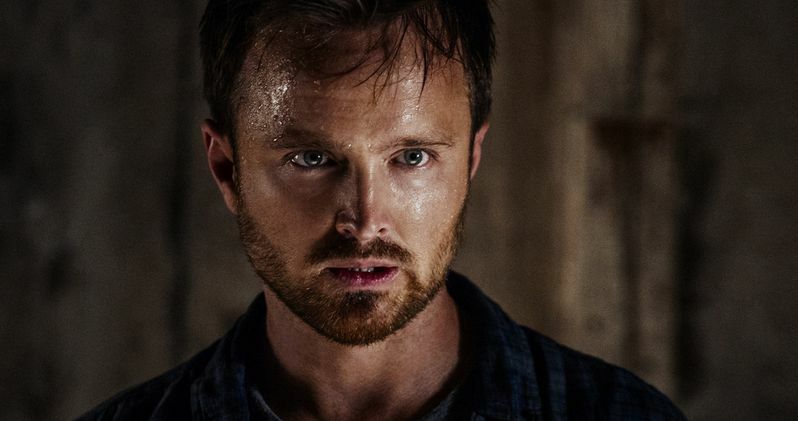 Aaron Paul has officially joined the cast for Westworld season 3. Details are scarce when it comes to who the former Breaking Bad star will be playing when HBO's critically-acclaimed sci-fi series returns. But according to a new report, Aaron Paul will indeed be part of the ensemble cast. Paul took to Twitter to more or less confirm the news. Here's what the actor had to say. "I feel like I'm in a dream Dolores. Can you wake me up from this dream? #Westworld"
There is no official word on Aaron Paul's character, however, this report states that he's likely going to be a series regular, as opposed to just a single-episode player, or something along those lines. Paul's former Breaking Bad co-star Giancarlo Esposito had quite the memorable cameo in an episode during Westworld season 2, but it sounds more like Paul's contributions to next season will be more significant. In any event, this is a promising and intriguing addition as the show heads toward its third season. This marks Aaron Paul's first major role on a cable TV series since Breaking Bad ended in 2013. Paul won three Emmys for his portrayal of Jesse Pinkman on that series. Following the finale, Paul starred in several movies, such as Triple 9, Central Intelligence and Exodus: Gods and Kings. He also spent two seasons as the lead on Hulu's cult drama The Path. Since Hulu opted to not renew The Path for a third season, that helped open the door for him to join the Westworld season 3 cast. Get ready for all of the "Robots, b*tch!" memes. Minor spoilers ahead for Westworld season 2, but the finale made it clear that, when the show returns, it's going to be a very different type of narrative. We officially have robots outside the park and blending in with humans in the real world. That could open up a whole lot of opportunities for new and interesting characters to come in. Showrunners Lisa Joy and Jonathan Nolan previously stated that there will be a "radical shift" come time for season 3. But, as one might expect, at this point in the production process, the creative team is keeping things quite secretive, which is pretty common for J.J. Abrams productions. As for when we can expect Westworld season 3? Don't get your hopes up for a shorter gap between seasons. In all likelihood, the next season won't debut on HBO until 2020, as the network won't rush the production and it takes time to develop the show behind the scenes. Westworld has been a massive critical hit for the network, as season 2 received 21 Emmy nominations this year, having already won three Creative Arts Emmys recently. We'll be sure to keep you up to date as more details are made available. This news was first reported by Deadline.